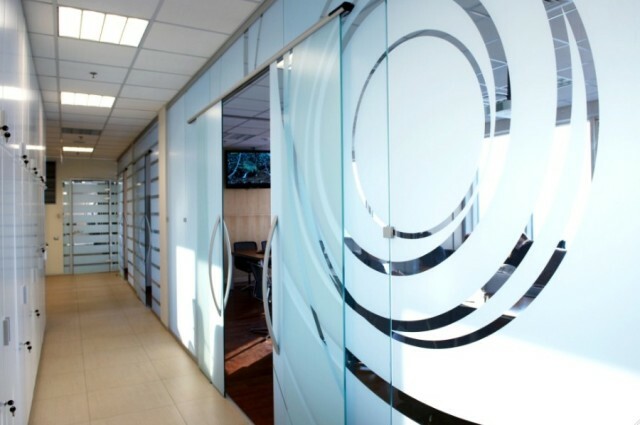 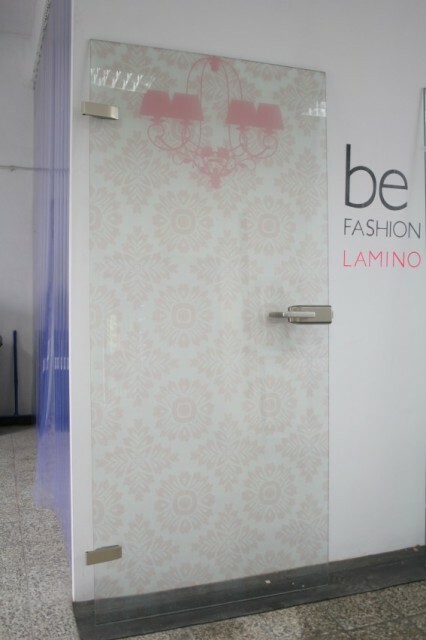 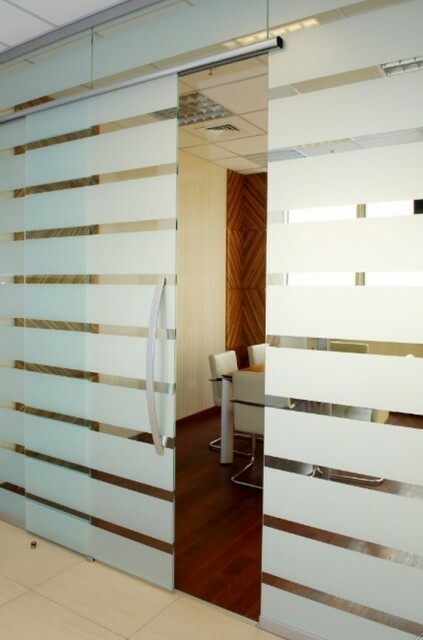 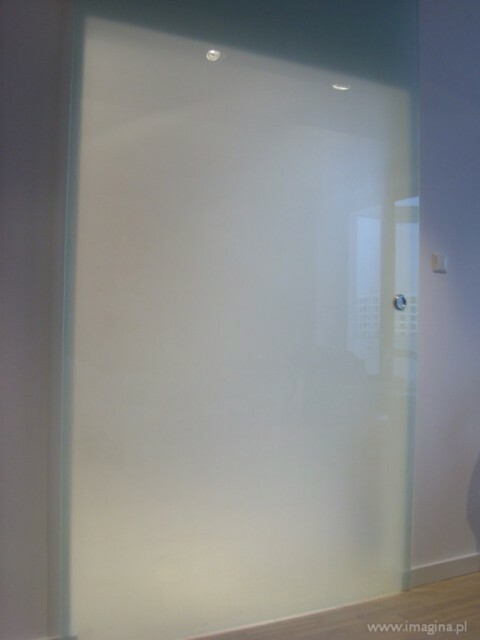 Glass doors can be produced from different types of one layer or two layers laminated glass and can also be additionally decorated by sand blasting or placing graphics between glass layers (laminographics). 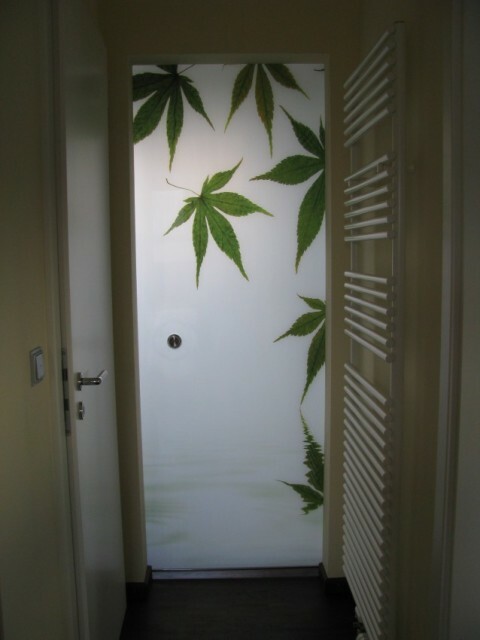 Laminographics can be made on transparent, milky or not transparent background, what additionally increase number of possible visual effects. 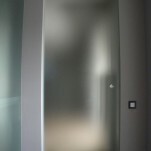 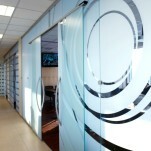 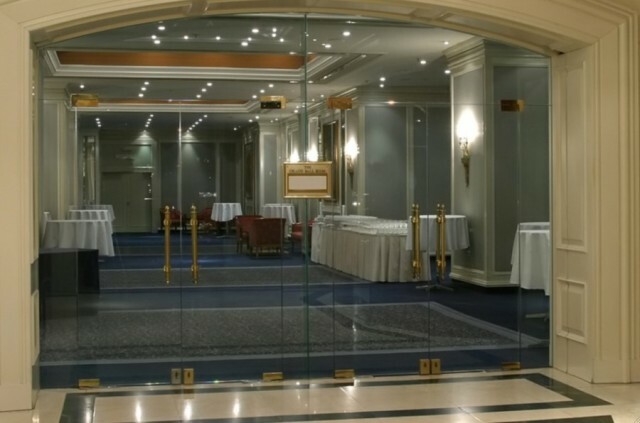 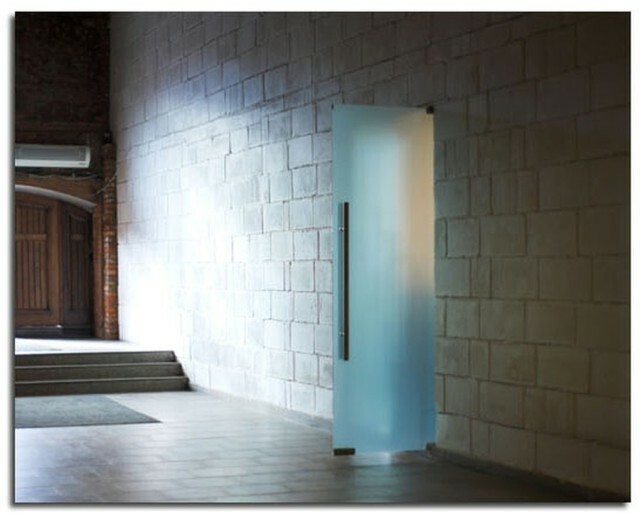 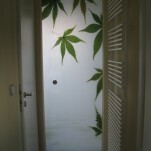 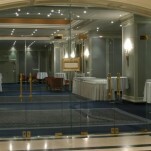 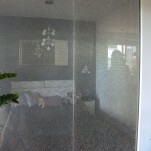 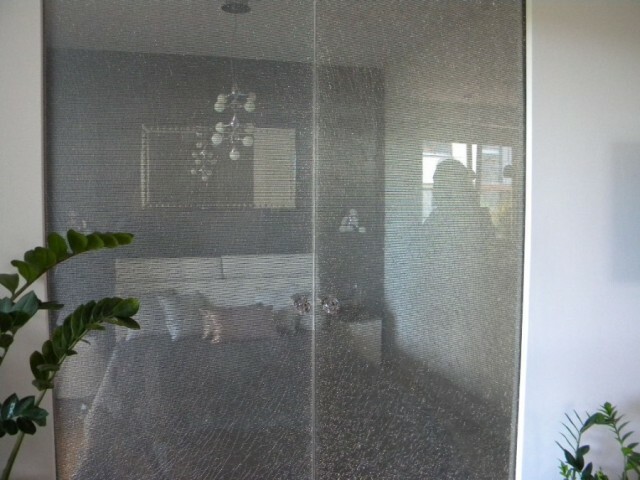 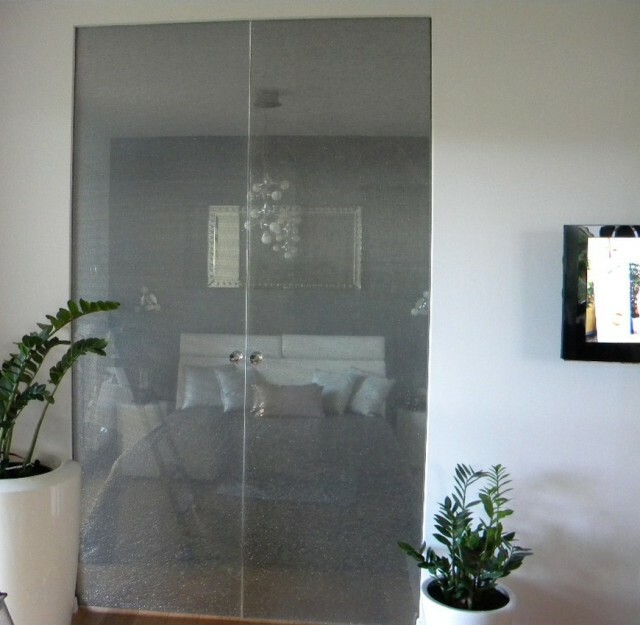 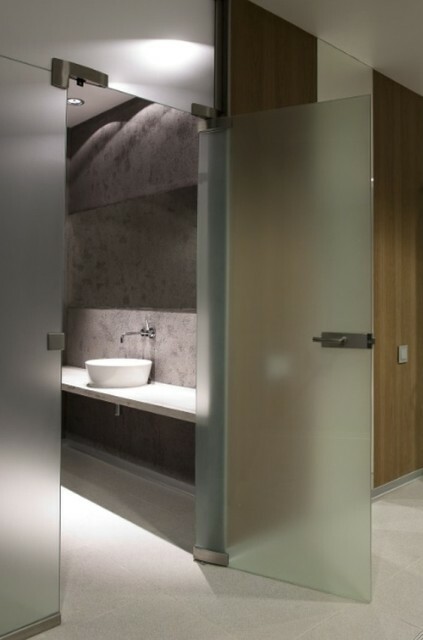 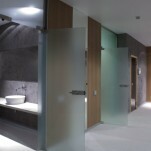 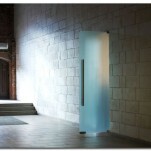 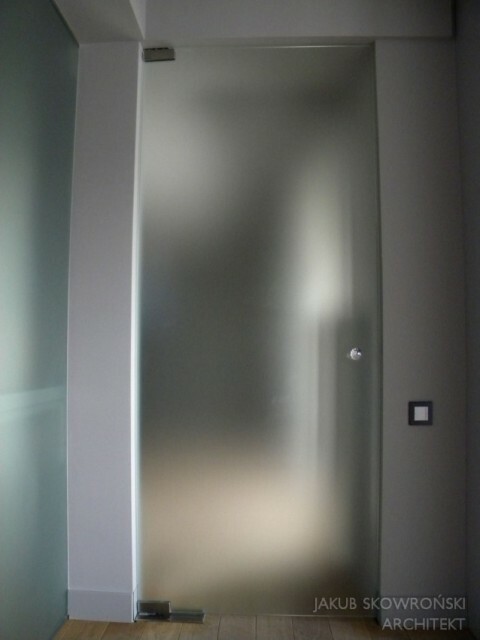 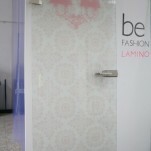 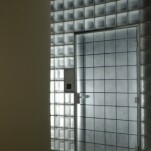 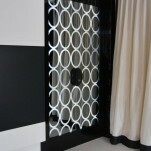 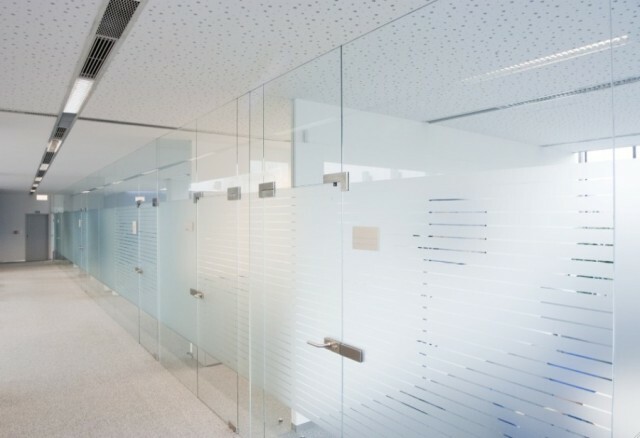 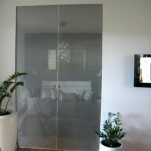 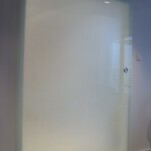 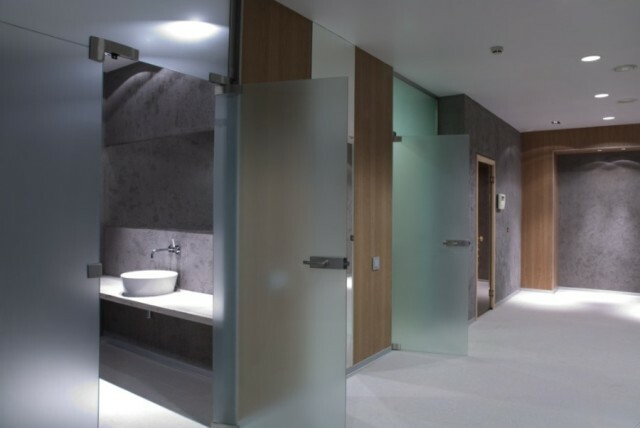 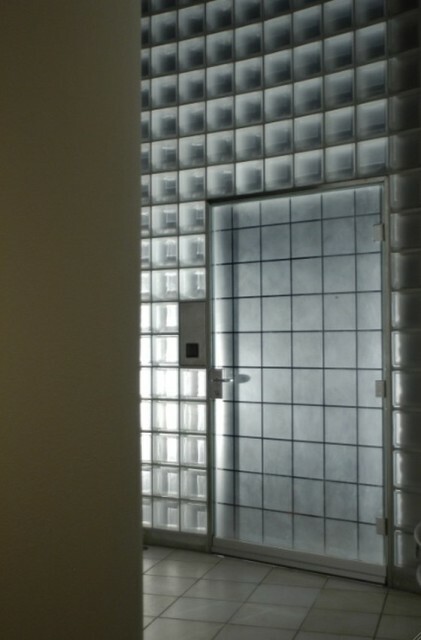 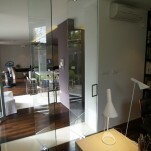 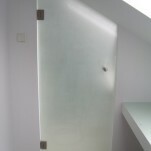 Glass doors can be produced as no-frame elements or with frame around glass panel. 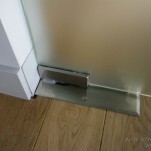 Additional optional equipment can be a wall hole frame. 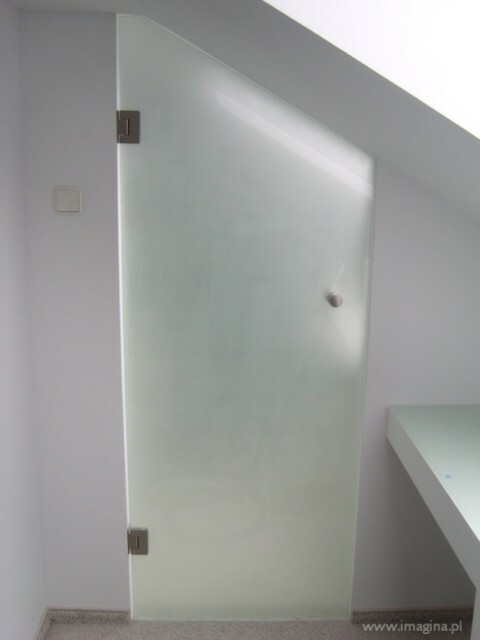 Generally glass doors can be divided into sliding doors and swinging doors. 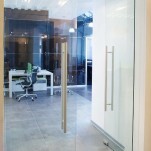 Glass sliding doors are being installed in sliding system consisting of system rail and movable trolleys with clamps. 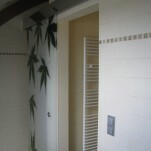 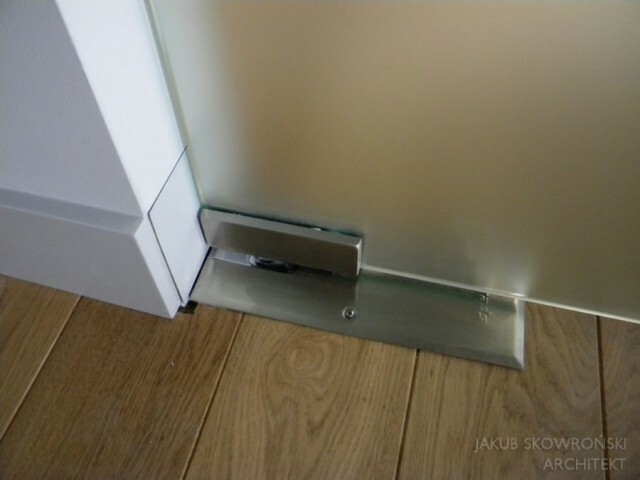 The rail can be mounted to the ceiling or to the wall above the wall opening. 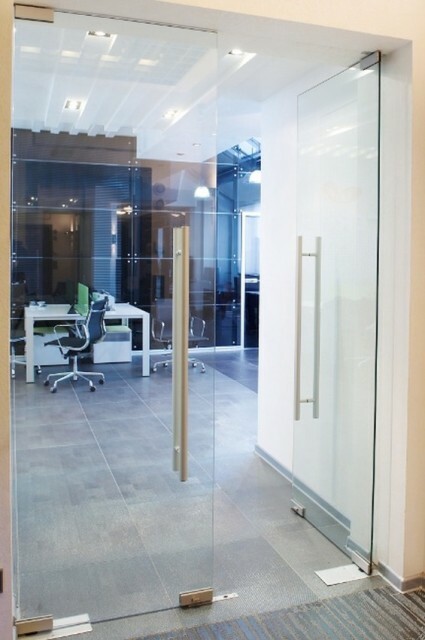 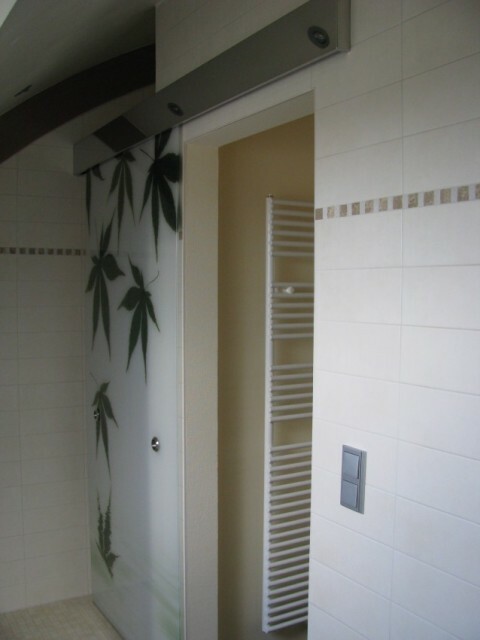 Glass sliding doors do not require any railing system in the floor ( the whole mechanism is placed in the top rail), so the discomfort of possible stumble is eliminated. 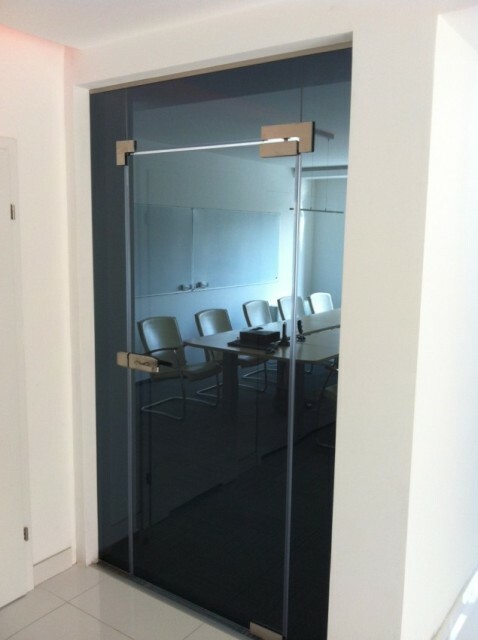 Swinging glass doors are installed in side hinges or top and bottom hinges. 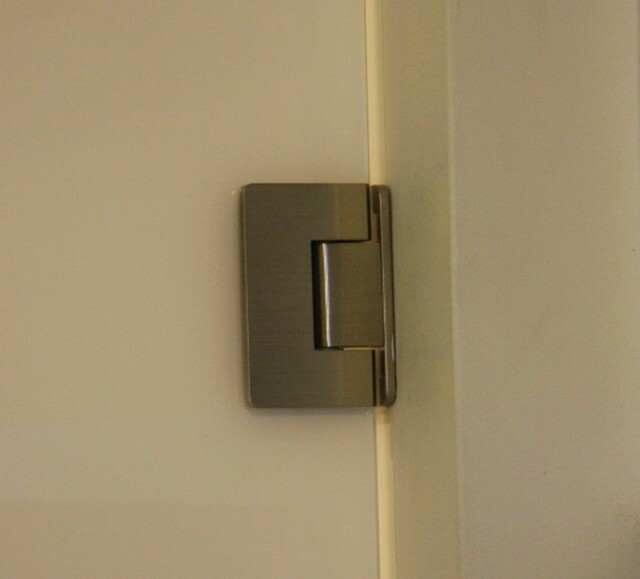 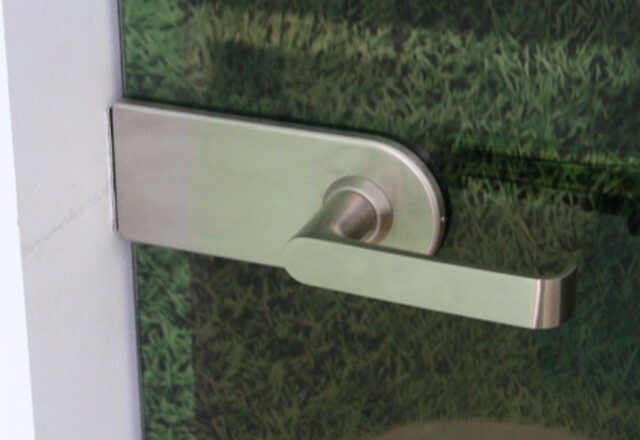 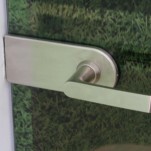 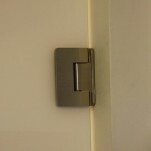 Additionaly optional self closing device can be installed. 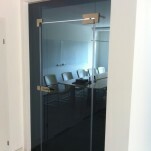 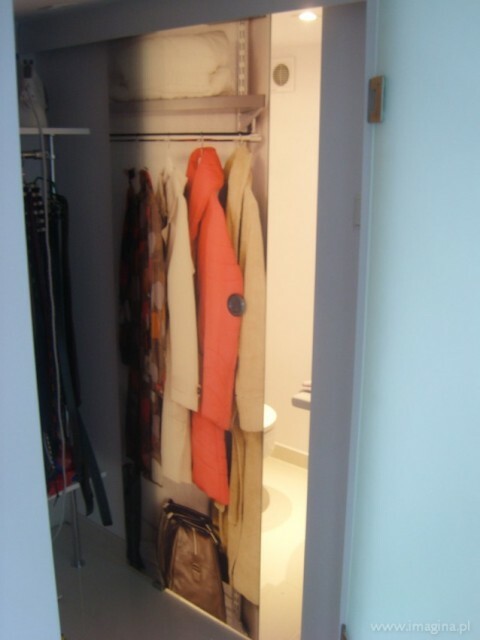 Depending on needs, swinging doors can be equipped with different closures.